Come together with other Sydney Buddhists to celebrate the Buddha and his teachings by observing important days on the Buddhist calendar! What better way for you and your family to remember what’s important in life than by gathering with Bodhikusuma’s diverse community to share a meal, hear teachings from respected monks, and join in other festivities of faith on these important Buddhist holy days! Vesak (or Visakha Puja) cemmorates the Buddha’s birth, enlightenment, and parinibbana. 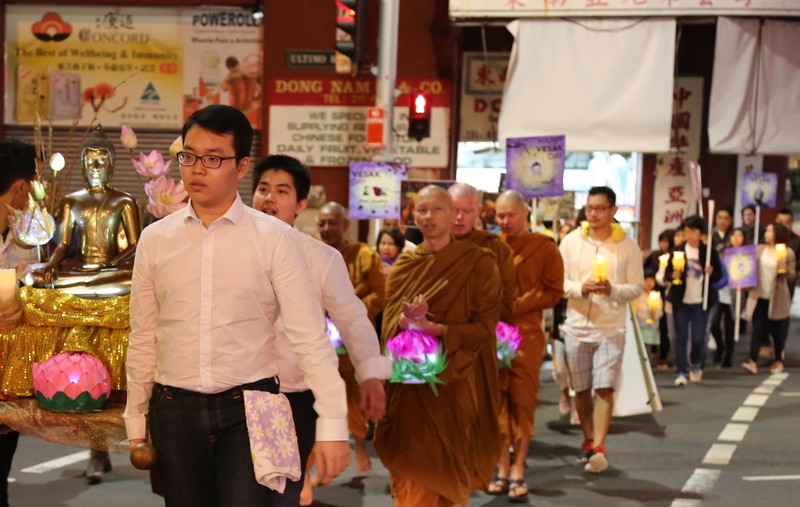 In Bodhikusuma, faithful Buddhists will come together and cemmemorate this sacred day through a procession around Haymarket, Chinatown and Thaitown, together with lanterns and chants led by the Venerable monks. 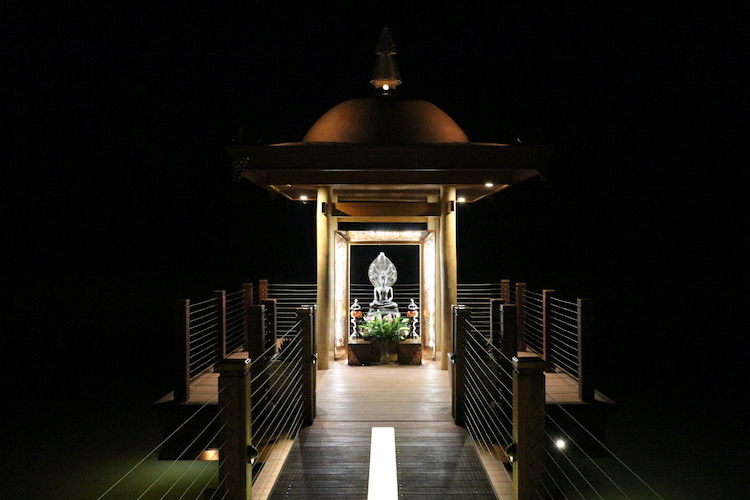 For the other 2 significant holy days, Magha Puja and Asalha Puja, we go to seclusion and nature at Bodhisaddha Forest Monastery. Robe Offerings are a way that the lay community show their support and gratitude to the monks for their spiritual guidance and teachings. Usually this event is held at in the October/November period.